Joico Daily Leave-In Detangler is a quick detangling solution for all hair types. Joico Daily Leave-In Detangler is formulated and fortified with Quadramine Complex and Pantenol to create a weightless leave-in detangler that protects, adds moisture and shine for an all day radiance boosting effect. 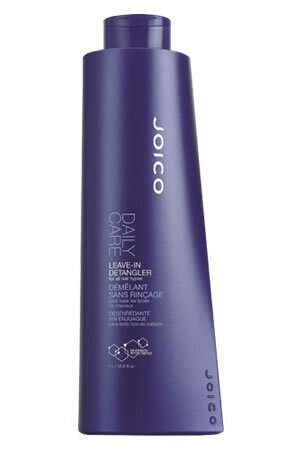 Joico Daily Leave-In Detangler also delivers protection against thermal styling and promotes shiny, manageable tangle-free hair that's full of body and shine.